UNDP is working with the Solomon Islands Government to help communities adapt to a changing climate. Young people will suffer the worst effects and they face an uncertain future of rising seas, extreme storms, droughts and floods. ‘Facing Climate Change’ is a one minute meditation on the faces of young people who will suffer the impacts of climate change. Solomon Islands is a developing nation of more than 1000 islands in the western Pacific on the ring of fire. Diverse cultures have thrived on these islands for generations, but climate change is hitting with full force and communities are struggling to cope with myriad simultaneous challenges. The issues of water shortages, food scarcity and relocation would be difficult for wealthy nations, but for a fragile post-conflict country like Solomon Islands, climate change presents a veritable tsunami of problems. Against this daunting collection of overlapping problems, the Solomon Islands Government chose five communities to act as innovation hubs for climate adaptation solutions. Each community has its unique set of challenges and the government is refining the process of listening and responding with appropriate solutions. Mixing local leadership with global expertise from UNDP, SIWSAP is proving itself as a model for large-scale adaptation projects. The five communities that are preparing for the future of climate change reflect the diversity of the country itself; different languages and customs on islands spread across five provinces and connected by tenuous links for both transport and communication that present logistical challenges that can seem as daunting as climate change itself. Towns like Gizo, Taro and Tigoa face different problems than villages like Santa Catalina and Tuwo but all communities share an underlying uncertainty about what the future might bring. These five children are from the communities where SIWSAP is working. Their stories and concerns reflect the complex web of issues that Solomon Islanders are facing as they begin the process of adapting. Water shortages, failing crops, rising seas, unpredictable storms and destructive activities like logging and mining are just some of the concerns that the young people shared. These brief glimpses into their lives might help us better understand the pressures these communities are facing and give us a chance to meet some of the Solomon Islanders who will inherit a future as the dark clouds of climate change gather on the horizon. 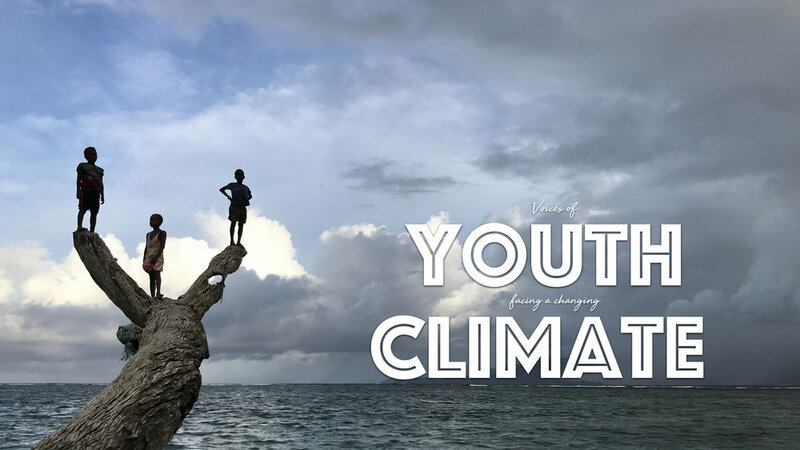 The climate concerns of all the young people are shared in this brief video that takes us across the Solomon Islands and looks at the forces driving migration, pollution and water scarcity. While the project has made great strides to solve some of these problems, the challenges will require decades to address and the solutions will continue to evolve along with the problems themselves. A musical journey in portraits. A collection of portraits of young Solomon Islanders from across the country. Under the Solomon Islands Water Sector Adaptation Project, “Gud Wata Fo Strongem Komuniti Lo Evritaem", six far-flung communities across the country have become innovation hubs to test and refine methods to cope with issues like drought, salination of wells and the loss of crops to the encroaching sea. The goal is to equip people with the resilience to meet the challenges of the future and serve as a replicable model of adaptation around the Pacific and the world. Hydro Met stations installed under the project were led by Solomon Islands Met Service and NIWA of New Zealand and are part of the overall national CLEWS. SIWSAP exists at the request of the Solomon Islands Government and in line with current national development plans. 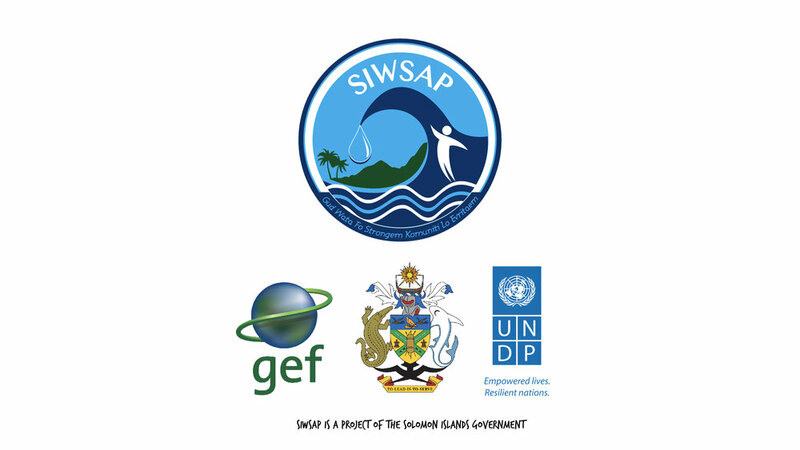 UNDP implements SIWSAP on behalf of the Solomon Islands Government.